4 Villas Hotel Complex and Reception ALL in great offer and incredible price! The complex generates a very good income. Each villa is offered for rent from 200-300 euro per night. 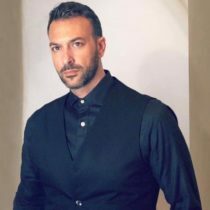 Very good reputation and positive comments and clients that returning each year. 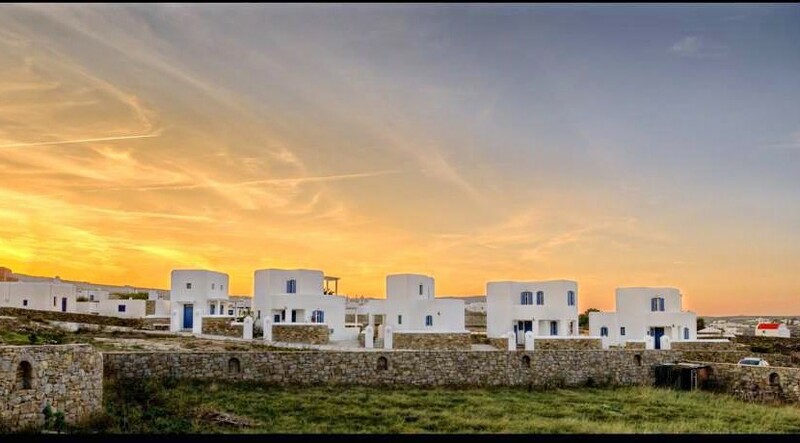 Brand new villas (July 2015 end of construction) with all the comforts a modern house needs such as A/C in every room, hot water all day, fully equipped kitchen, room service as well as designed with all the architectural principles of a cycladic island and a bioclimatic design (class A). 4) really close to Chora of Mykonos. for all ages with millions of tastes, sounds and moments to take with you. Your eyes and memory will take unique shots of natural beauty, landscapes and local tastes. 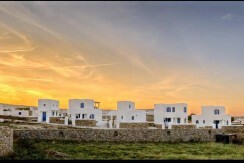 The villas are newly built with all the facilities. A 2 floor luxury villa with a private swimming pool. It consists of 2 bedrooms. One bedroom with a double traditional “built” bed and a private bathroom are in the upper floor. In the ground floor there is a Bedroom with either a Twin (2 Single Beds) or one Double Bed and a sharing bathroom. A fully equipped kitchen is provided that is suitable to serve up to 6 persons. In the living room there are two traditional and unique “built” convertible couches that can easily transformed to separated Single Beds for children. Villa is pet friendly, with garden all around and because of it’s big balconies, has a wide view from North to South and East to West. A 2 floor luxury villa with a private garden all around the house. 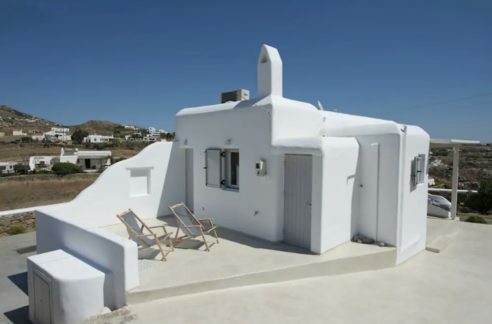 Villa consists of 2 bedrooms with 1 Double built bed each one in the upper floor. In the upper floor as well as in the ground floor there are sharing bathrooms with hydro-massage. A fully equipped kitchen is suitable to serve up to 6 persons. In the living room there are two built couches convertible to beds for 2 children. Furthermore, there is a private parking next to the villa. It is pet friendly, with garden all around and because of it’s big balconies, you have a wide view from North to South and East to West. Villa is a 2 floor luxury villa with a private garden all around the house. It consists of 2 bedrooms. One bedroom with a Double “built” bed and a private bathroom is in the upper floor. In the ground floor there is a bedroom with either Twin beds (2 seperated Single beds) or a Double and a common bathroom. A fully equipped kitchen can serve up to 6 persons. In the living room there are two built couches convertible to beds for children. Villa is pet friendly, with garden all around and because of its big balconies, you have a wide view from North to South and East to West. One bedroom is with a double built bed and a private bathroom which are in the upper floor. In the ground floor there is a bedroom with either Twin beds (2 single separated beds) or one double bed and a sharing bathroom. 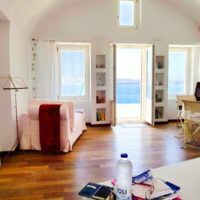 Villa is ideal for visitors with special needs since there are no stairs to access. A fully equipped kitchen is suitable to serve up to 6 persons. In the living room there are two built couches convertible to beds for 2 children. The villa is pet friendly, with garden all around and because of it’s big balconies, you have a wide view from North to South and East to West. + Building operating as reception with loft, kitchen and one bedroom. All Villas are designed with Bioclimatic principles classified at A Energy Class. 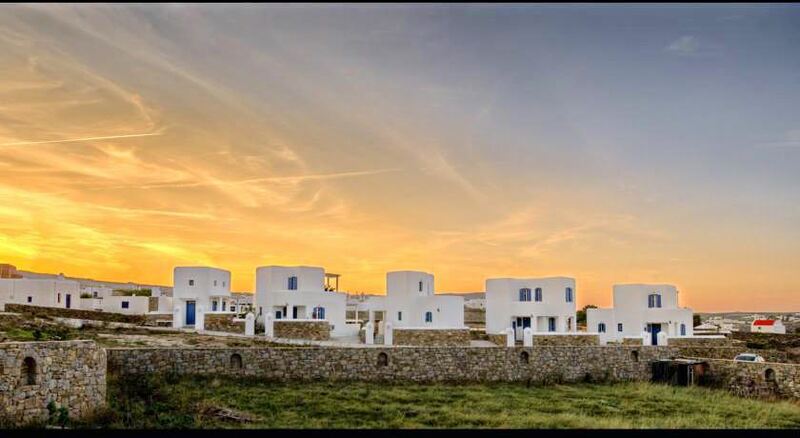 Although all rooms are equipped with Α/C Systems (Inverters A+ Energy class), the Bioclimatic design provides a natural cooling and ventilation of the Villas during summer and throughout the day due to the excellent insulation of the walls. A fully equipped kitchen gives all the cooking facilities (oven, ceramic hob, fridge, freezer) and the opportunity to prepare your own meals, breakfast, lunch, supper or dinner. Free Wi-Fi Internet access and hair dryer are standard equipment. All the bathrooms are equipped with hydro massage. 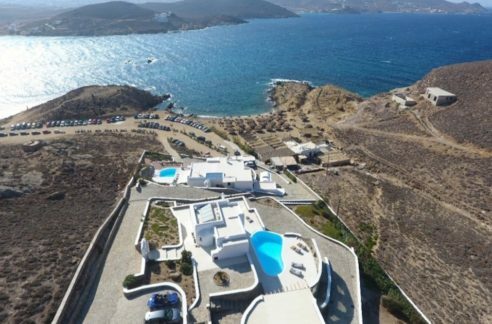 Each villa is offered for rent from 200-300 euro per night! Generating a very big income per season.